PLEASE NOTE; THIS IS A CLEARANCE ITEM AND, AS SUCH, THE PACKAGING MAY SHOW SIGNS OF DAMAGE. THE UNIT ITSELF IS IN NEW CONDITION. 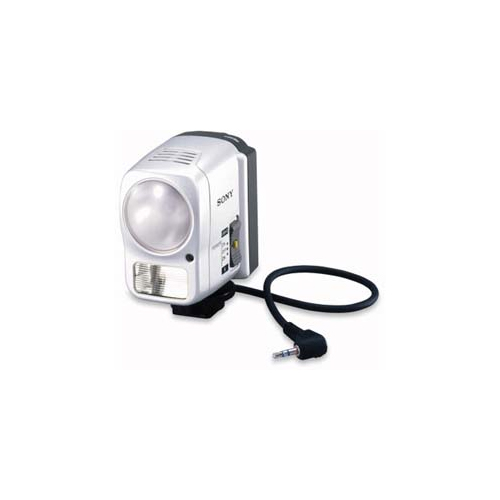 The HVL-F5DF video flash light functions as a video light and flash when used with selected MICROMV camcorders. It is operated by an F-Series InfoLITHIUM battery and utilizes LANC control-to-control flash.